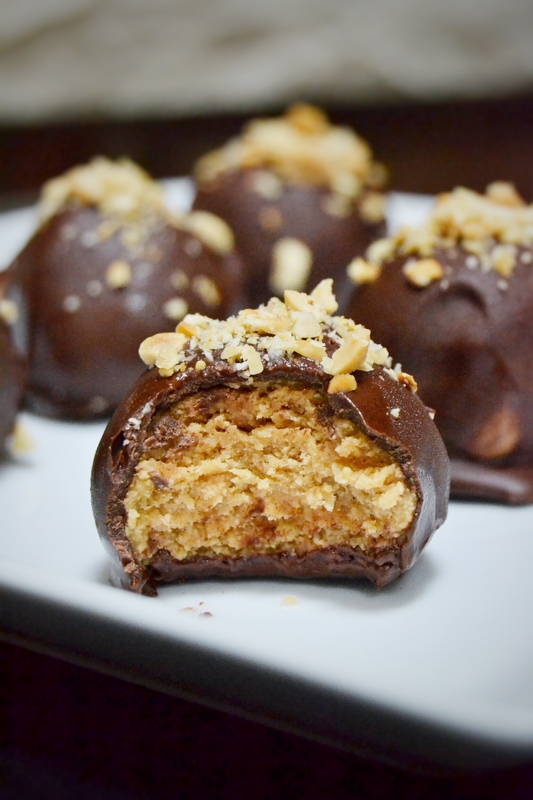 I mixed an all-natural peanut butter with honey and coconut flour and just dipped the balls into a good dark chocolate. There are so many health benefits in these ingredients. For example, Peanut butter has protein as well as potassium, which lowers the risk of high blood pressure, stroke and heart disease. It also contains fiber for your bowel health, healthy fats, magnesiun, Vitamin E, and antioxidants. Honey alleviates allergies, boosts energy and memory, is antibacterial, and contains awesome flavonoids and antioxidants. Coconut flour is high in fiber, protein, and healthy fats and is free from wheat and other grains. It’s also low in sugar, digestible carbs and calories, and has a low score on the glycemic index. Dark chocolate contains a decent amount of soluble fiber and is loaded with minerals and powerful antioxidants. It can even help lower high blood pressure and fight diseases. Basically, all good things. Ha! 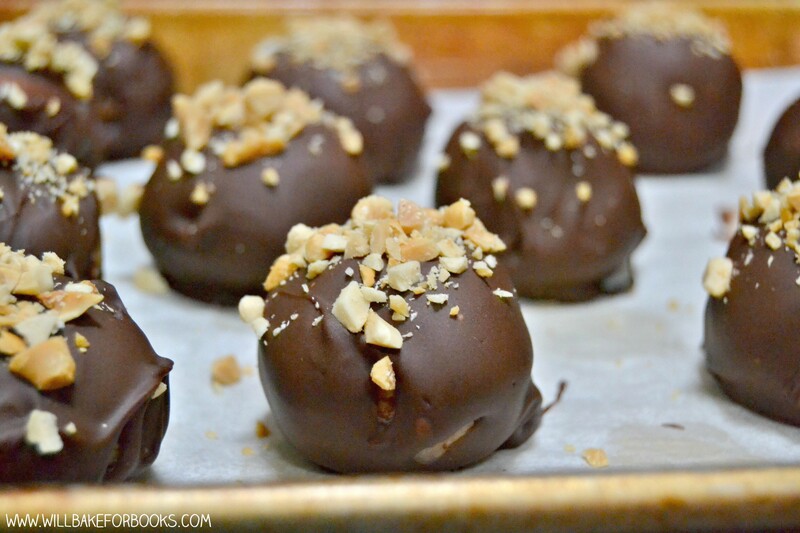 Smooth peanut butter perfection combined with scrumptious dark chocolate. Incredibly easy and perfect for post-workout protein-filled snack! In a medium sized bowl, mix together the peanut butter, coconut flour, honey, cinnamon and vanilla extract until the mixture thickens and balls together. Roll the mixture into balls using a cookie scoop for perfect sizing. In a small bowl, melt the dark chocolate chips in the microwave no more than 15 seconds at a time. 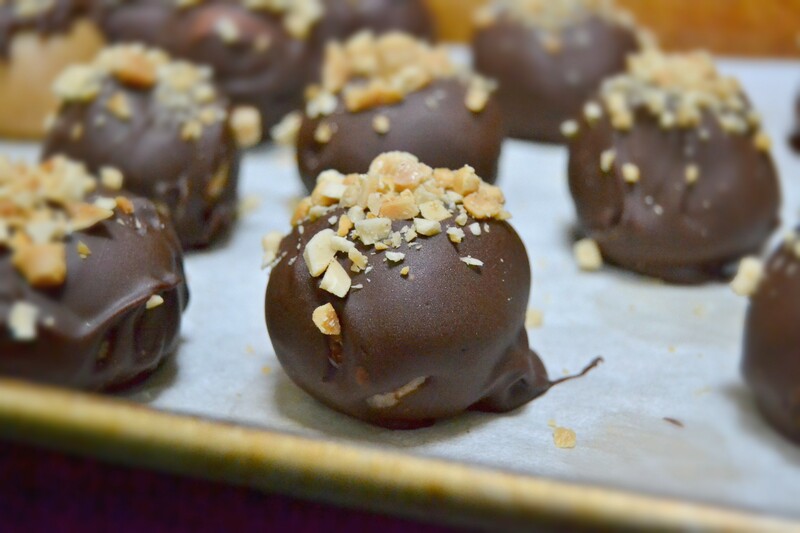 Using a spoon or fork, dip the peanut butter balls in the melted chocolate and toss to fully coat. Transfer the balls to a wax or parchment paper-lined baking sheet and refrigerate at least one hour before transferring to a ziploc. Enjoy!